Ever since the Taiwan-based Tech firm Foxconn - the world’s largest OEM (or Original Equipment Manufacturer) that assembles products for several global device brands like Apple, Blackberry, Xiaomi, Microsoft, Motorola and Sony - decided to sell its own products to the end consumers, it hasn't looked back. InFocus, the smartphone brand has recently partnered with Foxconn to enter the Indian handset market and it has been steadily making waves. 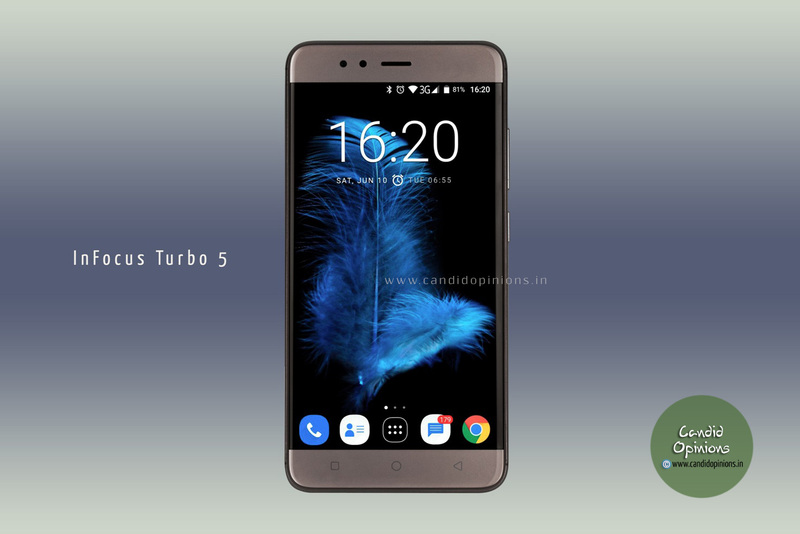 On 28th June, 2017 it launched its newest smartphone, Infocus Turbo 5 that sports impressive specs and several high-end features but is available at an economic price. 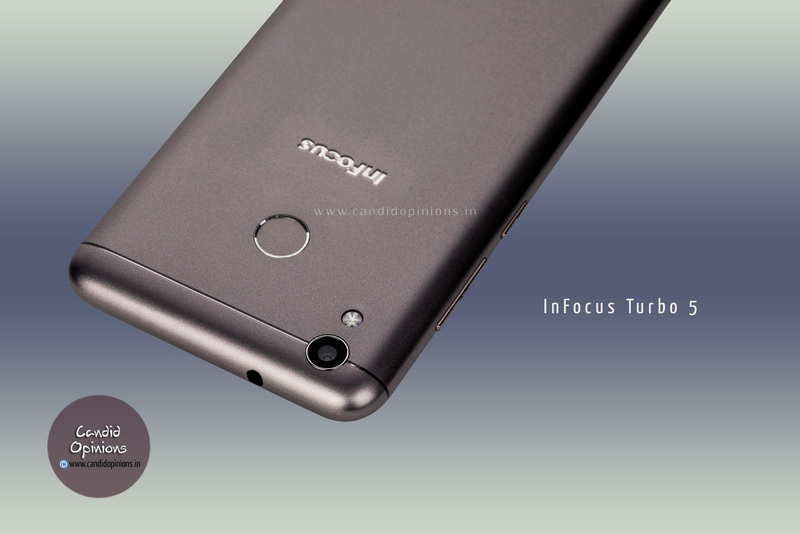 No wonder the InFocus Turbo 5 has already got the mobile users buzzing with excitement. the one with 2GB RAM and 16GB internal memory comes at a price of Rs 6,999 only while the one with 3GB RAM and 32GB internal memory comes at a price of Rs 7,999 which can be expanded up to 32 GB via Micro SD cards. The smartphone comes in two elegant colours - Mocha Gold and Pure Gold. Powered by 1.25GHz quad-core MediaTek MT6737 processor, the Infocus Turbo 5 runs on Inlife UI 2.0 based on Android 7.0 Nougat Operating system. With dimensions measuring 149.5mm x 74mm x 8.95mm (length x width x thickness), the smartphone features a comfortable screensize of 5.20 inch touchscreen display that gives a resolution of 720 pixels by 1280 pixels at a PPI of 282 pixels per inch. It weighs just weigh 164 grams and thus is fairly light despite giving a powerful performance. The main highlight of the phone is its powerful battery life - comes equipped with a massive 5000mAh battery which is non-removable. The battery promises to last nearly two days on a single charge (almost 23 hours of talk time) and up to 816 hours of standby time. It also offers nearly 50 hours of continuous music playback and 23 hours of video calling. Not just that, since the phone comes with reverse charging feature, the Infocus Turbo 5 can also be used as a power bank for charging other chargeable devices. As for the cameras, the InFocus Turbo 5 has got a 13-megapixel auto focus primary camera on the rear with LED flash and a 5-megapixel front facing camera for taking selfies. 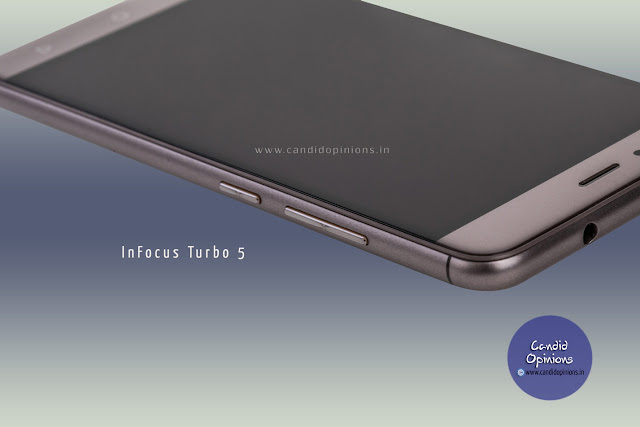 The InFocus Turbo 5 is a dual SIM smartphone (Nano-SIM and Nano-SIM) both opf which support GSM networks. The connectivity options include 4G with VoLTE, 3G, Wi-Fi, GPS, Bluetooth and FM. The phone also features a fingerprint sensor at the back that can unlock the smartphone in half a second! Given its refreshingly clean design and a sleek, metallic body, this all new value-for-money smartphone definitely stands out and packs a punch. From among all the smartphones available under the price tag of Rs 8,000 or Rs 10,000, the InFocus Turbo 5 looks the best of the lot. It could possibly be the budget flagship killer and thus is set to storm the Indian market, especially in the highly competitive mid-range segment.